Protagonist in Heaven´s Flower Tree is Jens Oder Flirum – Alias Yenso – Sits Together with his friend Mino in the Amazon Rainforest. Unscrupulous capitalist exploitation has destroyed the jungle. They must fight this. Jens Oder Flirum returns to Europe to implement the Great Plan. Allthough an independent work; Heaven´s Flower Tree is book two in the Mino trilogy. 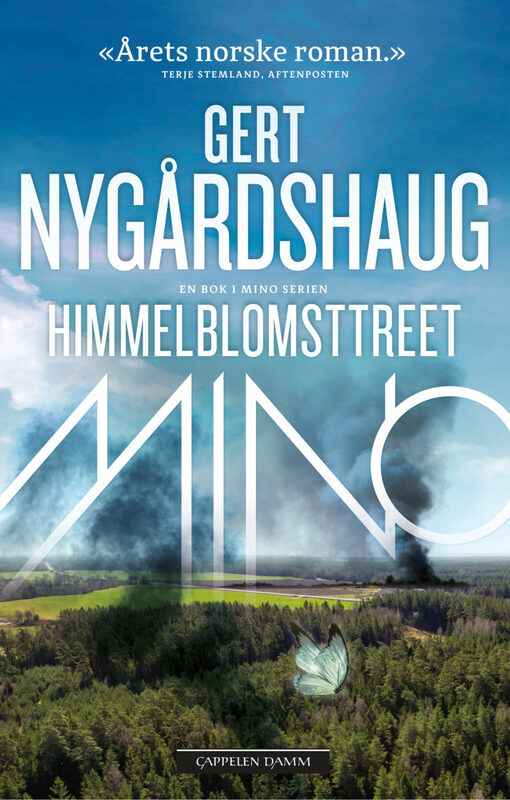 Gert Nygårdshaug has written an energetic, significant novel, where he mixes three stories: one about a miscarriage of justice, one about rainforest and the Indians of the Amazon, one about the near future story, where Europe ends up in terrorist fractions - an enormous civil war. Past, Present, Future - Realism, Myth, Science Fiction - Political Indignation, Dream, Excitement: And Nygårdshaug gets it all together. It is well done and it is meaningful. The subjects are not small, it is about Norwegian justice, about the fight for rainforests, about the future of Europe. Heaven´s Flower Tree has roots in classic European narrative tradition, but it´s originality reaches far beyond the EU's borders. I´ll say this right away: this is a masterpiece. And it´s not unsignificant, what Nygårdshaug wants to tell us. The book is a picture of Europe's power and what this power can lead to and has led to. At the same time, the book is written in a tradition that is distinctly European; the novel which through it´s massive content is going to tell the reader something about the world.